St. Roch is a Royal Canadian Mounted Police schooner, the first ship to completely circumnavigate North America, and the second sailing vessel to complete a voyage through the Northwest Passage. 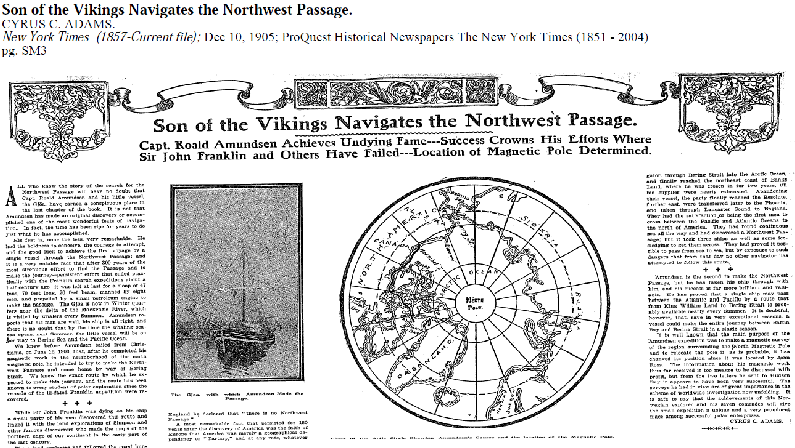 It was the first ship to complete the Northwest Passage in the direction west to east, going the same route that Amundsen on the sailing vessel Gjøa went east to west, 38 years earlier. The ship was most often captained by Henry Larsen. The ship can now be found at the Vancouver Maritime Museum in Vancouver, British Columbia, Canada and is open to the public for scheduled visits. St. Roch was constructed in 1928 at the Burrard Dry Dock Shipyards in North Vancouver. Between 1929–1939 she supplied and patrolled Canada's Arctic. In 1940–1942 she became first vessel to complete a voyage through the Northwest Passage in a west to east direction, and in 1944 became first vessel to make a return trip through the Northwest Passage, through the more northerly route considered the true Northwest Passage, and was also the first to navigate the passage in a single season. Between 1944–1948 she again patrolled Arctic waters. In 1950 she became first vessel to circumnavigate North America, from Halifax, Nova Scotia to Vancouver via the Panama Canal. Finally in 1954 she returned to Vancouver for preservation. In 1962, St. Roch was designated a National Historic Site of Canada.